Mr. Kennedy, a member of the Portfolio Legal Services team, has over 20 years of experience in law and business, assisting clients in a broad variety of industries with advice on legal matters ranging from corporate governance, mergers and acquisitions, securities law, and general corporate and commercial matters. 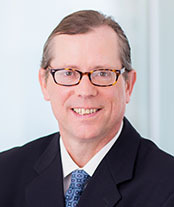 Prior to his association with Versa, Mr. Kennedy was a Partner in the Corporate and Securities Group of law firm Pepper Hamilton LLP, and he previously served as Associate General Counsel to a NYSE-listed manufacturing concern. Mr. Kennedy is a graduate of St. Joseph's University and Washington University Law School, where he was a member of the Order of the Coif, and Articles Editor for the Washington University Law Quarterly.